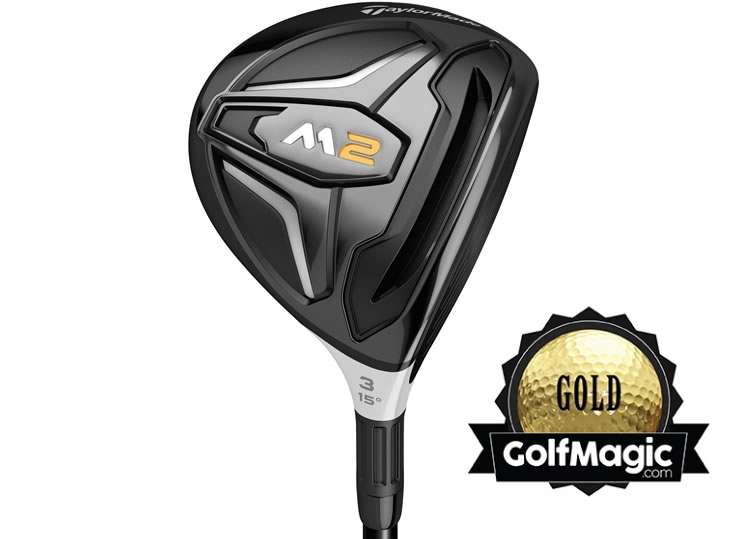 We test the best fairway woods on the market in 2016 - which three get gold? Some fairway woods are so good they replace the driver in a player's bags, just ask Open champion Henrik Stenson. Like the big stick, the fairway wood must boast distance, and most golfers require it to also perform off the deck. Players want a bat boasting forgiveness and control - after all, that's why you're reaching for the club in the first place. In order to find out which clubs achieve this, we tested some of the best on the market, three of which are awarded GolfMagic gold stars. An absolute beast of a fairway wood. The longest in the test, boasting a stunning feel and sound, with forgiveness to boot. The large head shape inspires confidence at address, and the sound it exudes is outstanding. Doesn’t get much better than this. One of the more forgiving fairways in the test. The Spaceport, seen in the KING driver, allows for a low CG and high MOI combo, producing a fairway that helps players that stray from the face. The compact head may not suit higher handicaps. We found it easy to work, and enjoyed the firm and responsive feel. Adjustable, too, which is a bonus. Boasts a larger footprint than many in the test, which filled us with confidence sat behind the ball. There's heaps of forgiveness on offer, thanks to the Shockwave Sole and low CG. Naturally it is high-launching, and in terms of distance it was around middle of the pack. Feel was soft, although some of the other clubs offer more feedback. Adjustability was simple to operate. Distance, forgiveness, and feel is thrown into the mixing pot with the PING G. Boasting one of the larger profiles in this test, the G fairway wood utilises a thinner crown, allowing for weight to be positioned in the optimal position for low CG. Works well off the deck and the tee peg. It has a superb feel – lively and responsive. Adjustability worked well. The sleek black finish on the crown looks superb, and contrasts nicely with the silver face. It pushed some of the longer clubs in the test, and was also impressive in the dispersion stakes. A steel face cap ensured there was a decent amount of forgiveness. Explosive feel off the face. Value for more in abundance. One of the longest fairway woods on the test, and also boasting a buttery, smooth feel. The carbon composite crown doesn’t just look appealing, it allows for CG to be low, for optimal launch conditions. The new Speed Pocket offers a decent amount of forgiveness, while there is also loud “thwack” at impact. A fantastic fairway wood. One of the longer clubs in the test, the Titleist 915F uses a forward positioned channel for low spin. It also packs a punch in the distance stakes, thanks to a high speed face insert and low CG position. Boasts a soft, lively feel. Adjustability, again very simple. The Wilson Staff FG Tour F5 blends the required attributes of a fairway wood admirably. A weight placed low and close to the face optimises spin rates and launch angle, while Reactive Face maximises performance all over the face. In terms of distance it was middle of the pack, and the same can be said for forgiveness. Exudes an appealing soft feel, and we enjoyed the classic head shape behind the ball. Adjustable.